Sweet potato or pumpkin pie? That’s an ongoing debate and probably one you’ll never see resolved. Many say they taste almost identical while others swear they taste nothing like each other. More than anything, the debate is probably rooted more in culture and upbringing – it comes down to where we’re from and what we grew up with. But it seems that those most adamant about taking a position one way or the other choose the side of sweet potato. How about you? 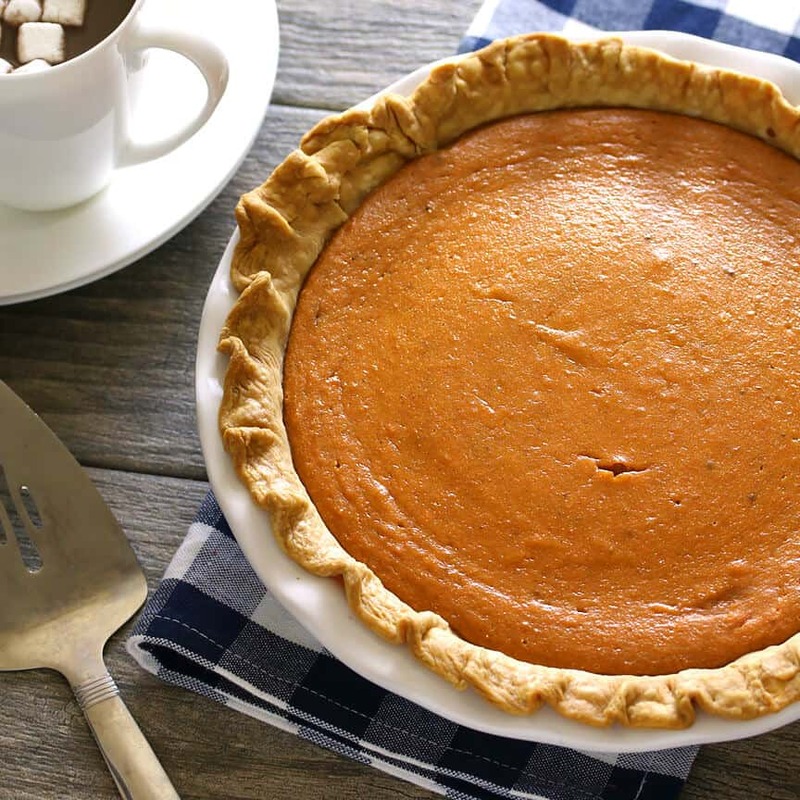 While pumpkin pie can certainly be made with real pumpkin, one thing sweet potato pie has going for it is the convenience factor. It’s super easy to grab a couple of sweet potatoes, wrap them in foil, bake them and them scoop out the flesh. Plus they’re available throughout the year. Overall, sweet potatoes are also more nutritious than pumpkin, having more vitamins, minerals, protein and fiber. And even though we’re talking about a sugary dessert, it’s still nice to know it has some redeeming qualities, right? 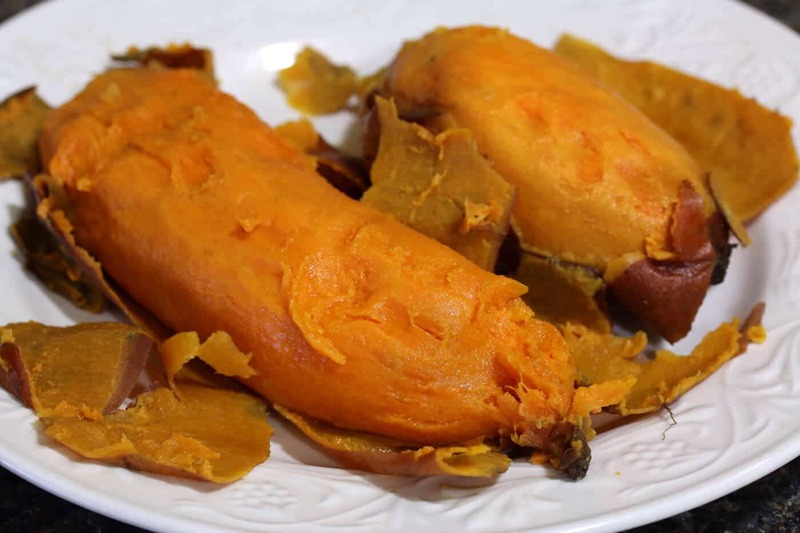 Another plus for sweet potatoes is that they are thoroughly delicious on their own, even without any of the spices and sugar. That’s not as true for pumpkin. 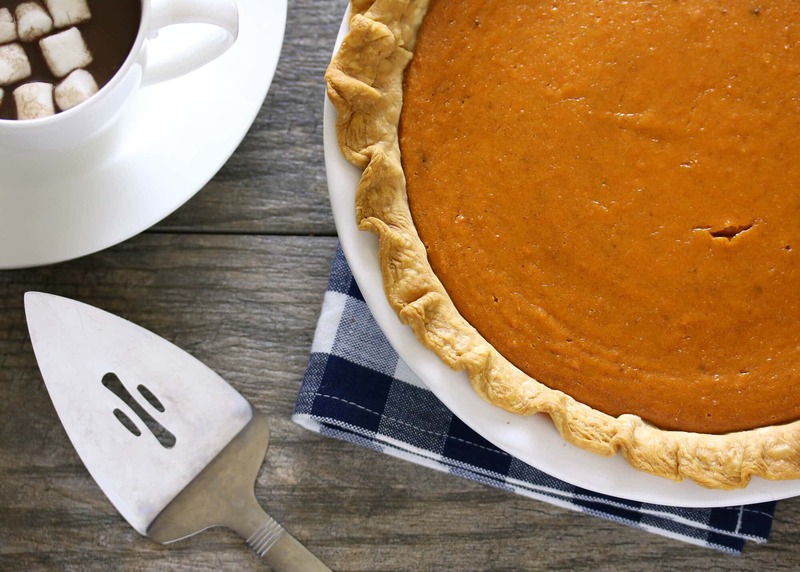 Sweet potatoes taste fabulous on their own and in pie form, well, they’re just that much better. This sweet potato pie combines sour cream for an irresistibly velvety texture and a great flavor. And for all you local Western Washingtonians in the Puget Sound area, I want to share with you a local business that is as almost a tradition as sweet potato pie. Take a moment to hop on over to my feature on Smith Brothers Farms, a remarkable and old-fashioned family business serving the area for nearly 100 years. 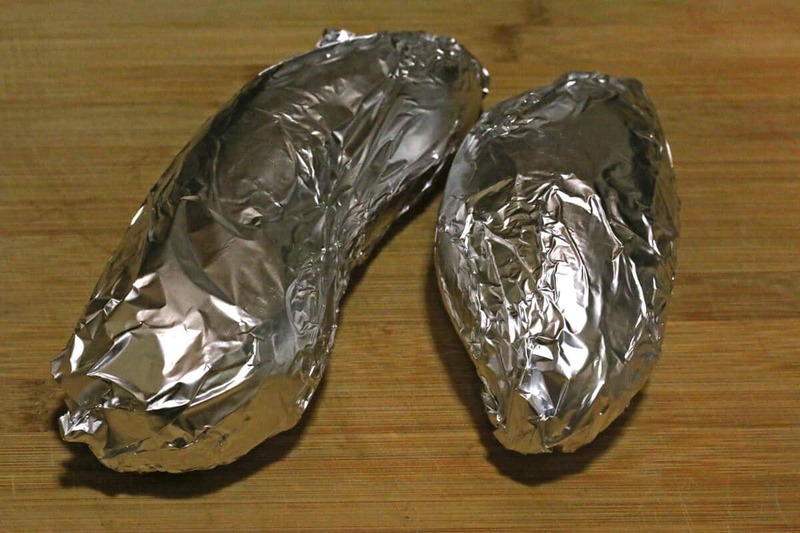 Scrub the sweet potatoes and wrap them in foil. We’re going to bake, not boil, them. That way none of the nutrients are lost in the water and it also keeps the flesh drier so the pie doesn’t border on runny. When the potatoes are done let them cool until you can handle them (this can also be done well in advance). The peels will come off easily. Discard the peels. 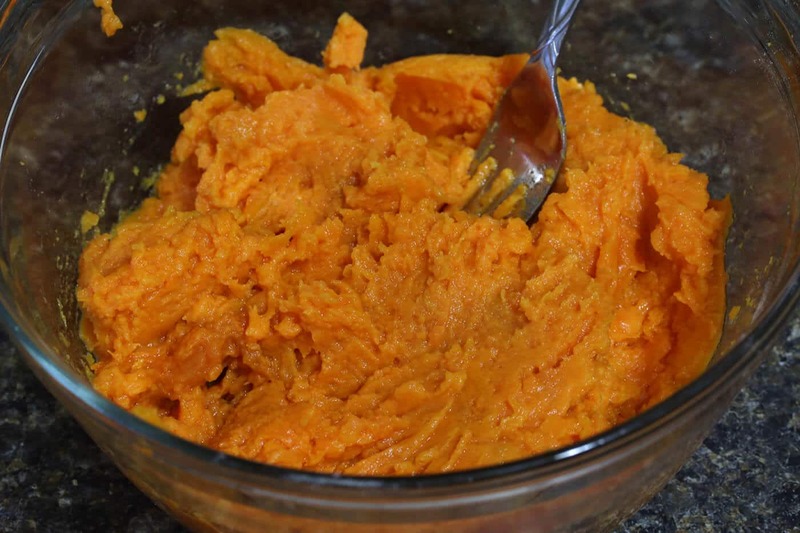 Place the sweet potato flesh in a large mixing bowl and mash with a fork until the lumps are broken up. Before you continue with the filling, let’s get the pie crust going. 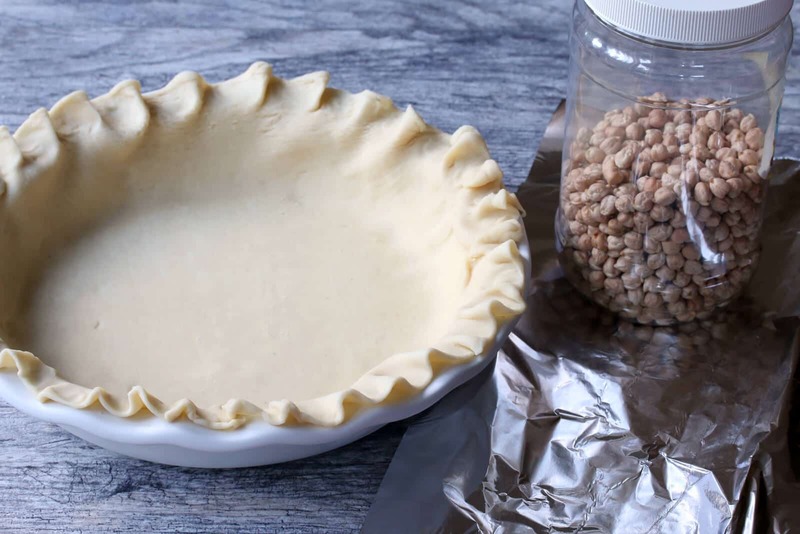 Place the pie crust in a standard 9-inch pie pan and flute the edges. 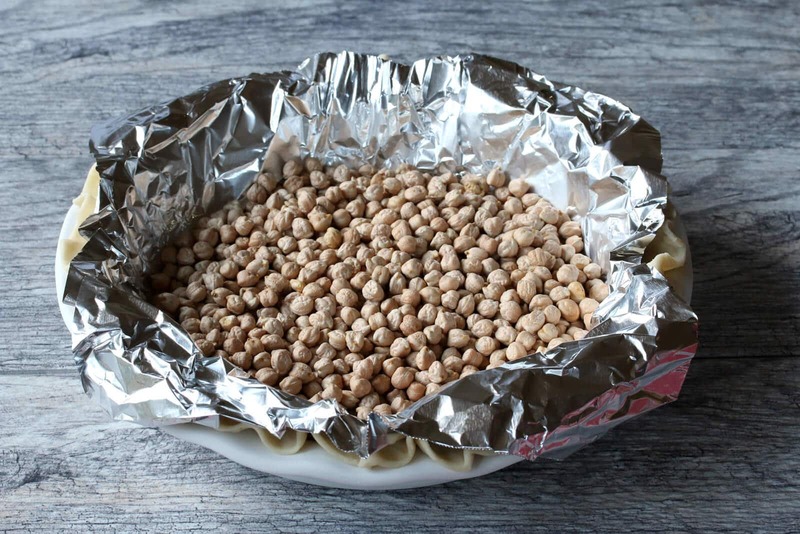 Line the pie crust with aluminum foil and fill the bottom with some dried beans. Preheat the oven to 350 degrees F and position the rack on the bottom third of the oven. Bake the crust for 10 minutes. Remove the beans and foil. While the crust is baking finish up the filling. Add the remaining ingredients in with the sweet potato. 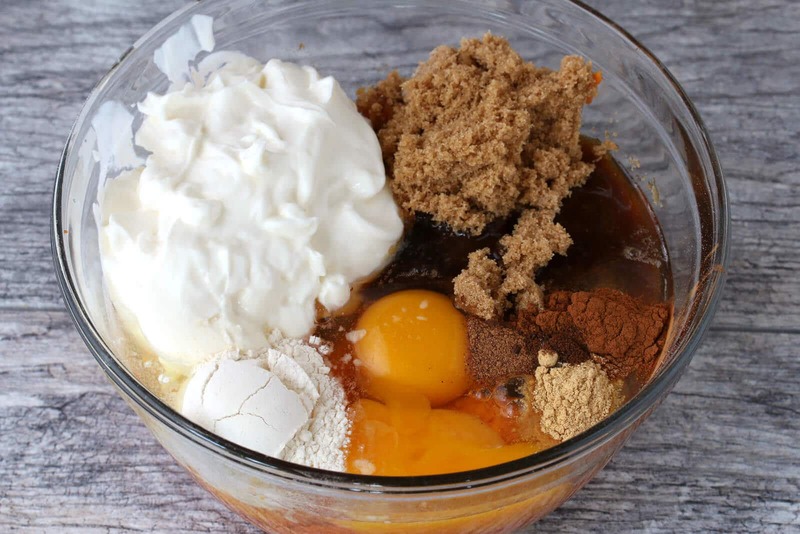 Beat until the mixture is smooth and there are no lumps remaining. Pour the mixture into the warm prepared pie shell and bake for 45-50 minutes until the center of the filling is just set. Cover the edges with foil if they start to turn too brown. 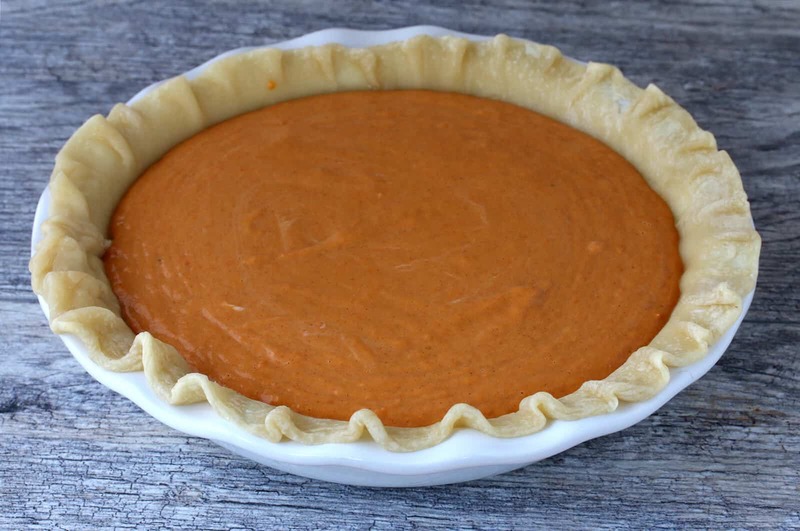 Allow the pie to cool completely before serving. Slice and serve this Sweet Potato Sour Cream Pie with whipped cream. Preheat the oven to 375 degrees F. Wrap the sweet potatoes in foil and bake for 30 minutes to 1 hour, depending on the size of the potatoes. Check for doneness by squeezing them, they should be soft. Allow them to cool until they can be handled, then peel and discard the skins, place the potatoes in a large mixing bowl, and mash with a fork. 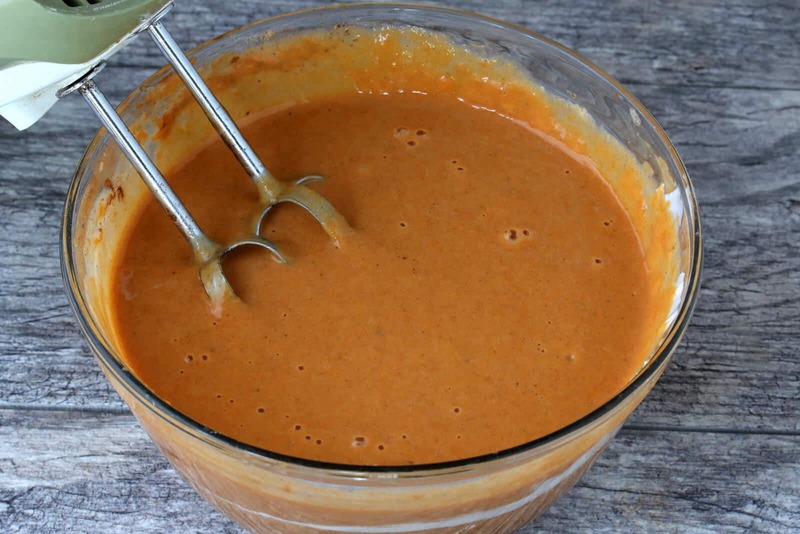 Add the remaining ingredients to the the sweet potatoes and beat with a mixer until smooth and no lumps remain. Pour the mixture into the warm pie shell. Position the oven rack to the bottom third of the oven. Bake the pie for 45-50 minutes or until the center is just set. Cover the edges of the pie with aluminum foil if the edges are getting too brown. What a fabulous pie! 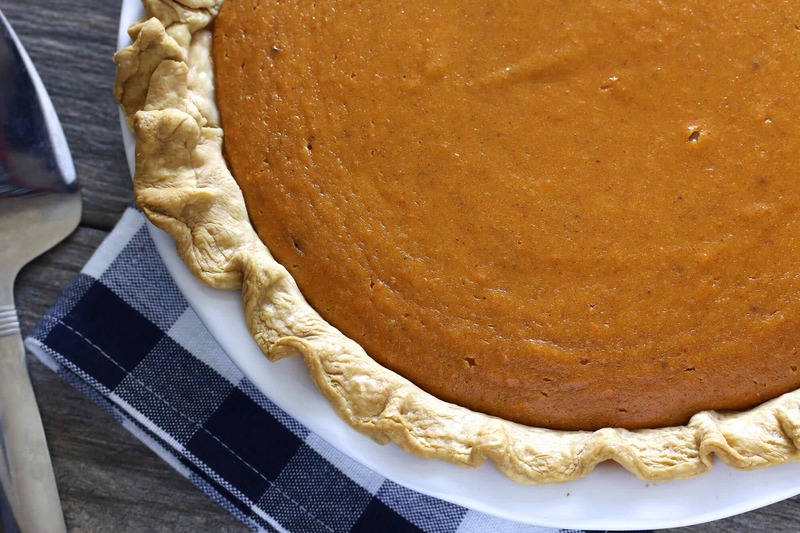 I wouldn’t have thought to use sweet potatoes in a pie, but this looks amazing! And now I wonder, why have I never made a sweet potato pie? I don’t like sweet potatoes with savory things as they are just too sweet for me, but in a pie? Perfect! And they are so nutritious! Thanks for the recipe, Kimberly! Great idea! 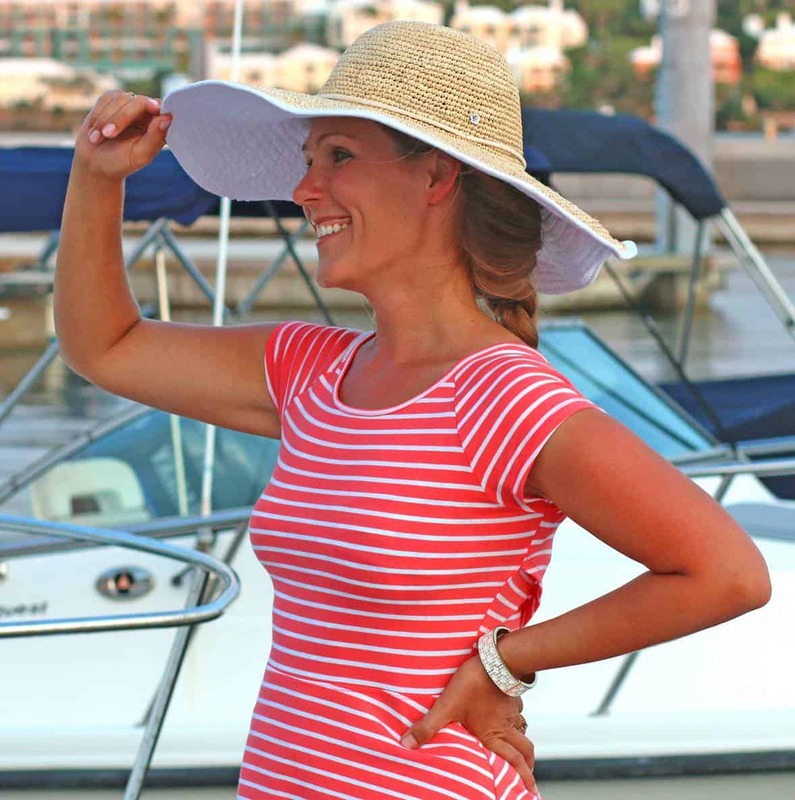 This looks absolutely perfect Kimberly! I’ve never made a 100% sweet potato pie; however, I have made a sweet potato/pumpkin pie. It’s a good combo! I usually go for pumpkin pie but you’ve done an amazing job of getting me to change my mind! 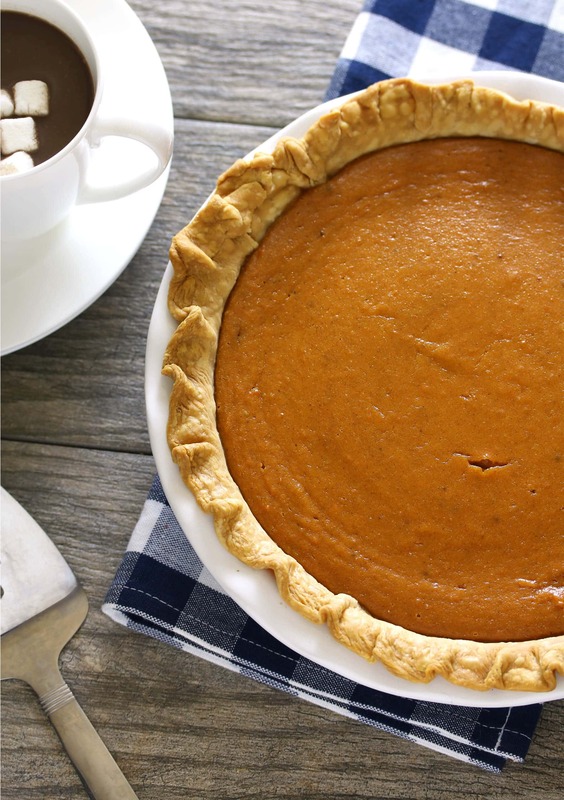 I’ve never had sweet potato pie but would love to try it alongside pumpkin pie and see if I can taste a difference! Kimberly how wonderful to see you submit a Sweet Potato pie. I have always preferred Sweet potato pie too Pumpkin probably because as you say it comes down to culture and what you grew up with. You’re right. As an African American from the South, we always had at least 4-6 fresh hot Sweet potato pies every Sunday (7 of us kids, 3 being boys..my dad…you get the picture). We never tired of these pies. And it is the reason I really learned to bake. When I left the South and moved up north on on my own, I was very disappointed that even among my culture people here didn’t make this pie according to my liking. I finally called my mother, acquired her recipe and since, passed this on to my own daughter. Your recipe sounds wonderful, and is the first that I’ve seen, that includes many of my Mom’s ingredients, except she wouldn’t use ginger and in the place of the sour cream she always used carnation milk, and Butter. Butter in Sweet Potato Pie is a MUST! It provides a full body richness and flavor to the Pie, without being overbearing. Aside from that, your pie sounds marvelous. Thanks again! Thank you for sharing this, Regina. 4-6 pies every Sunday, that’s incredible! What many memories you must have that center around this timeless dessert. And what a treasure to have acquired your mother’s recipe. I agree that butter is a must in most everything, so I won’t dispute its place in sweet potato pie :) Thank you! Delicious!! Have eaten sweet potato pie all my life. This recipe tops them all!! Wonderful, Barbara and John, thank you so much!